Kia has come a long way since its first export in 1975. 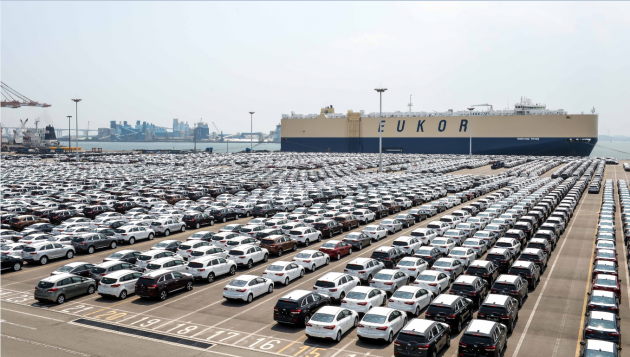 The Korean carmaker recently announced that it expects the number of exports from its South Korean factories to reach a 15 million unit milestone this month, showing how popular the Kia brand has become around the world. Leading the export milestone is the Kia Rio, which had 2.23 million vehicles shipped as of May of this year. The Sportage compact CUV and Sorento also helped Kia reach this new milestone with 1.57 million and 1.08 million units exported respectively. As Kia pointed out in its press release, 15 million Optima sedans, which his how many were could circumvent the earth 1.8 times. That’s a lot of cars. The Korean carmaker has four manufacturing plants in South Korea, each of which recently expanded their production capacity. Over the past decade or so, Kia has increased its production from 800,000 units in 2000 to 1.71 million in 2014.